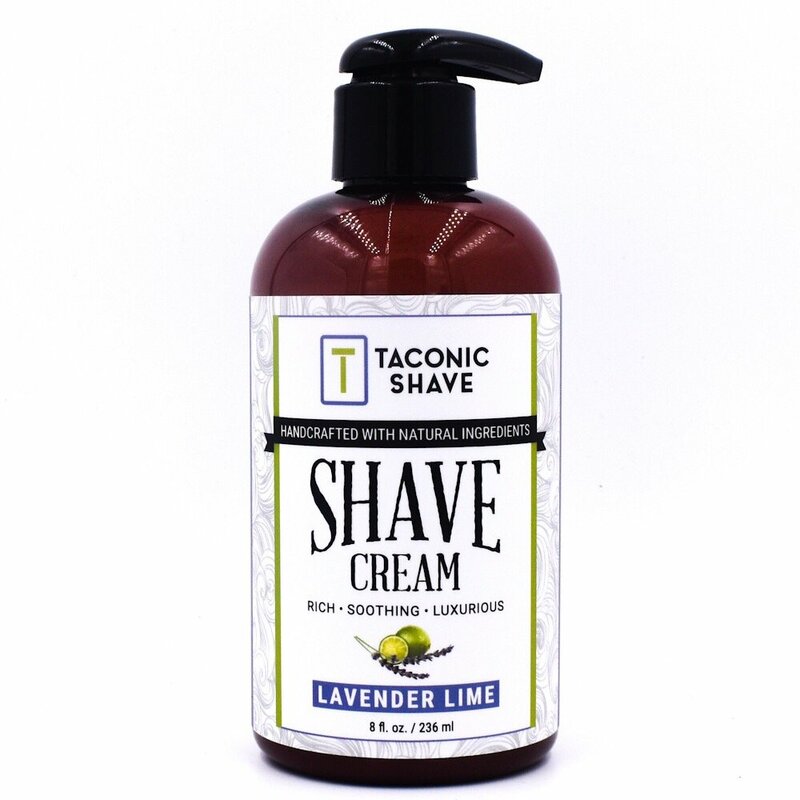 Taconic’s Lavender Lime Shave Cream is an all-natural bright and earthy blend, which calms and awakens the skin with herbal lavender and bright citrus notes. 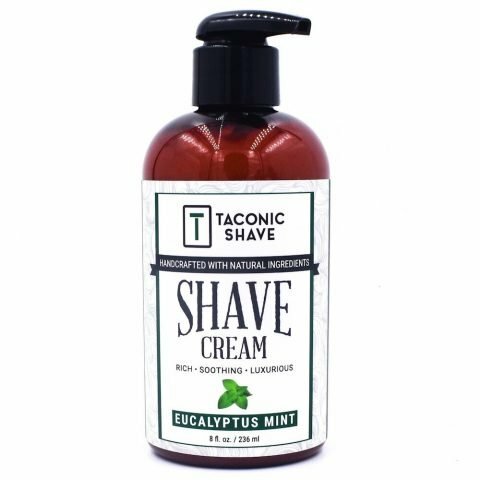 Directions: For Brush Application (recommended method) – This shave cream is very concentrated and can benefit from adding just the right amount of water to create a super lather. Experiment with the amount of water you add for the first few uses by adding a little at a time. Soak your brush thoroughly in hot water. Gently shake out excess water and add a nickel sized amount of cream to brush tips. 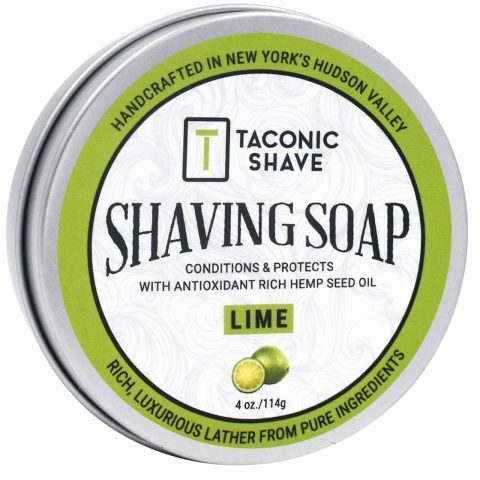 Massage into wet beard using a circular motion until a rich lather is produced or lather in a bowl as desired. 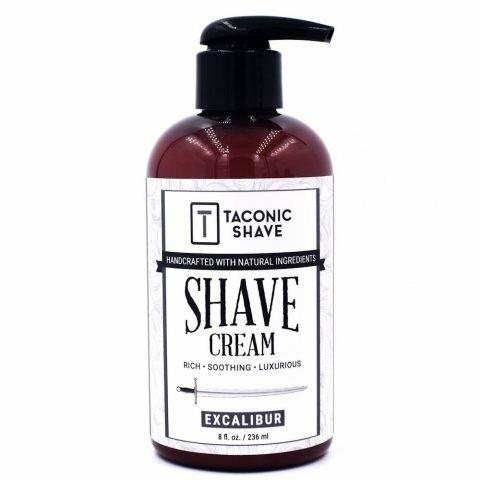 For Brushless Application – Pump a nickel sized amount of shave cream, add warm water, massage onto wet shave area with fingers for 60 seconds or until a rich lather is produced (add more water as needed). Rinse with cool water and apply aftershave splash or balm as needed.